It's a new generation of styling putty with Taurine + Citrus Complex*. 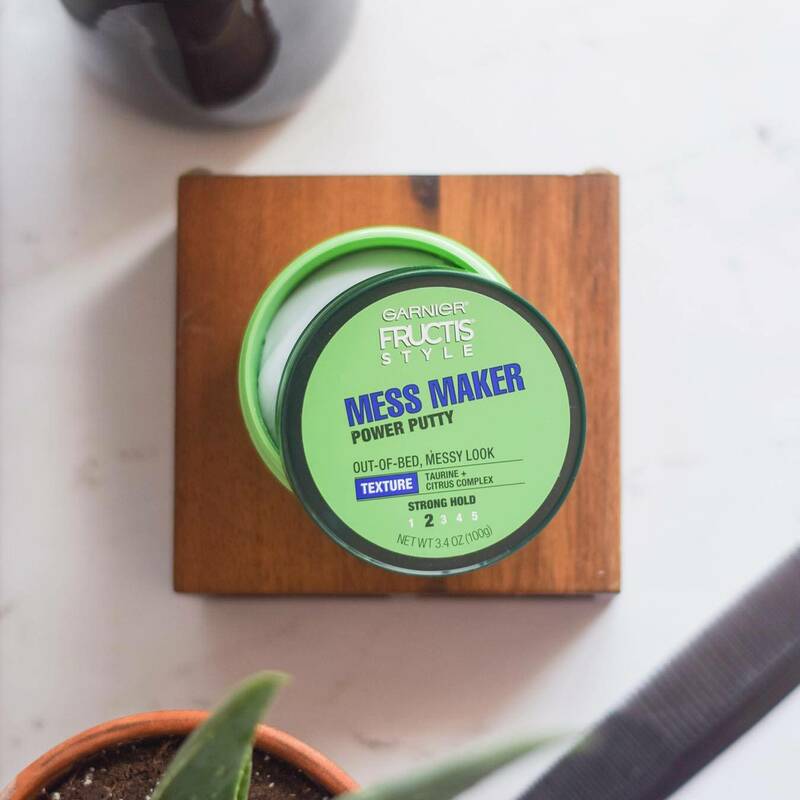 Get that out-of-bed, messy look with all-day strong hold. Non Flaking. For more looks, tips, and fun visit our Style Hub. Scoop dime size amount of hair product. Rub styling wax between palms. Apply to hair and style. Rated 5 out of 5 by NancyF14 from Great product! I love this product! It’s perfect for my short hair style, air dry hair, add small amount of product, use hands to style & done!!! Problem is I have not been able to find this product anywhere & hoping it is NOT Discontinued!!!! 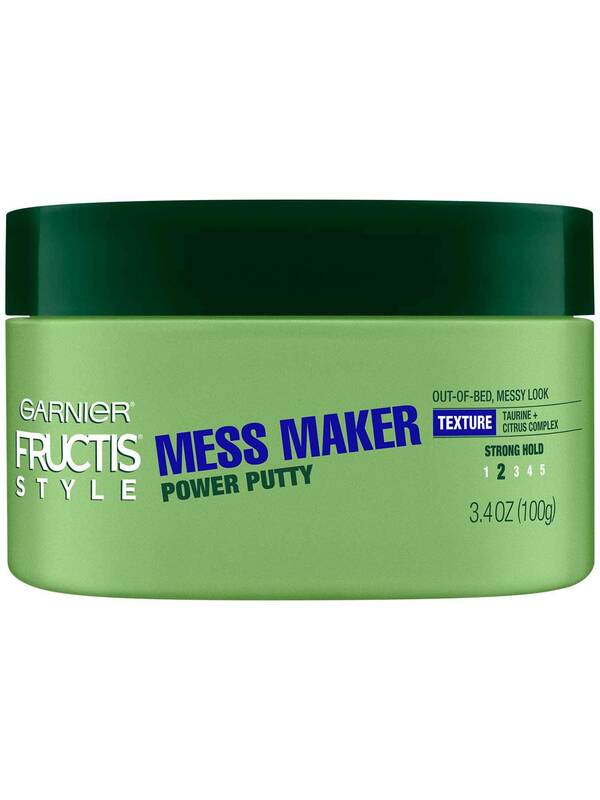 Rated 5 out of 5 by Timo from Mess Maker I love this stuff and won’t use any other product, trouble is I can’t find it in local stores recently. Has it been discontinued? Rated 5 out of 5 by Alora1675 from Love this product! I love this product, but cannot find it anymore. Has it been discontinued? Please say NO!!! Rated 4 out of 5 by Smartalex from Excellent product! Great product. Been using it for years. But Has this product been discontinued? Having trouble finding it in stock at local stores. 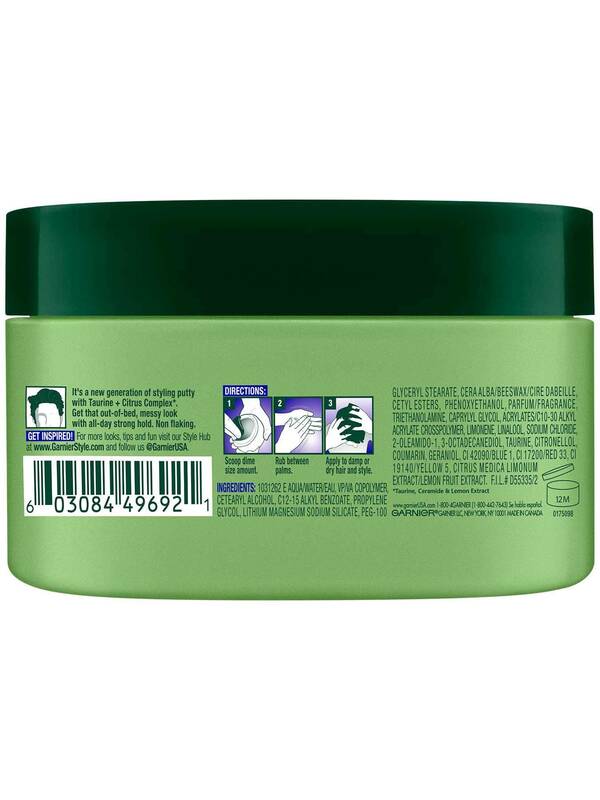 Rated 5 out of 5 by djs1 from I love Garnier Fructis hair products. The smell is amazing and the quality is really good for the price. I would recommend to a friend or family member. Rated 5 out of 5 by Momreview from Perfect for pixies! I use this with my 'pixie' and its awesome! Not just for men! Only a small amt needed for great hold on dry/damp hair. Has only a light, clean scent to it. Average priced product for the size. Just wish it could actually be found in stores, no one in my area carries it anymore! Rated 5 out of 5 by ellentc426 from Awesome products. I enjoy the simplicity of the benefits. Walmart always has the products on hand at a good price.